this month, i was assigned my judy the foodie, a lovely blog where shari chronicles her life + memories of her wonderful mom (Judy) through cooking. there were tons of awesome recipes on shari’s blog, but it wasn’t hard for me to choose what to make. why? because there was a recipe that involved both pasta AND lemon, which are my two favorite foods/flavors in the world. 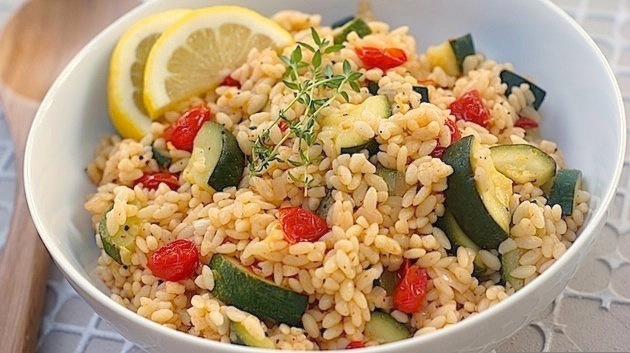 when i saw her recipe for lemon orzo with sautéed veggies, i was all over it! so, how was it? so amazing! i actually said to my husband, ‘this might be my favorite pasta dish of all time,’ which says a lot, considering what a pasta junkie i am. it was perfect – lemony, fresh + light. i served it warm, as a side dish alongside chicken for dinner, but it was also fantastic cold, as a pasta salad, the next day. i love a versatile dish like that! i preferred the warm version slightly, as it brings out more flavor from the lemon + herbs, but it really was delicious both ways. if you love lemon + pasta, like me, you’ve gotta try this! thank you to shari for introducing me to this fabulous dish, + to the secret recipe club for connecting me with fantastic bloggers + amazing recipes! bring water + bouillon to a boil in a pot over high heat. add orzo + cook according to package, about 9 minutes, or until al dente. drain, set aside. in a large skillet over medium-high heat, add olive oil. wait for the skillet to heat up a bit, then add shallot + garlic. cook for 3-4 minutes, until softened + fragrant. add zucchini + cherry tomatoes, + sauté for about 5 more minutes, or until the zucchini is tender + the tomatoes are softened. add the thyme + cook for one minute more. remove from heat + add lemon zest + lemon juice, plus salt + pepper to taste, stirring well. then toss with orzo until well-combined. add more salt + pepper if needed. serve immediately, warm, or chill + serve as a pasta salad. I love the idea of doing this with quinoa. 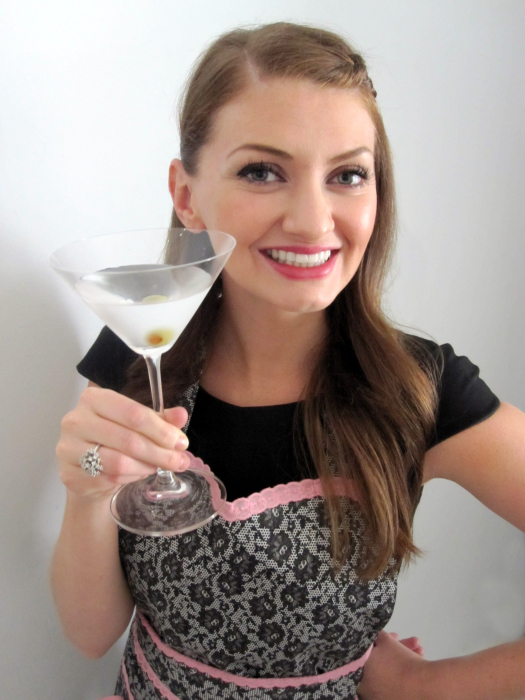 This looks sooooo yummy Amy!